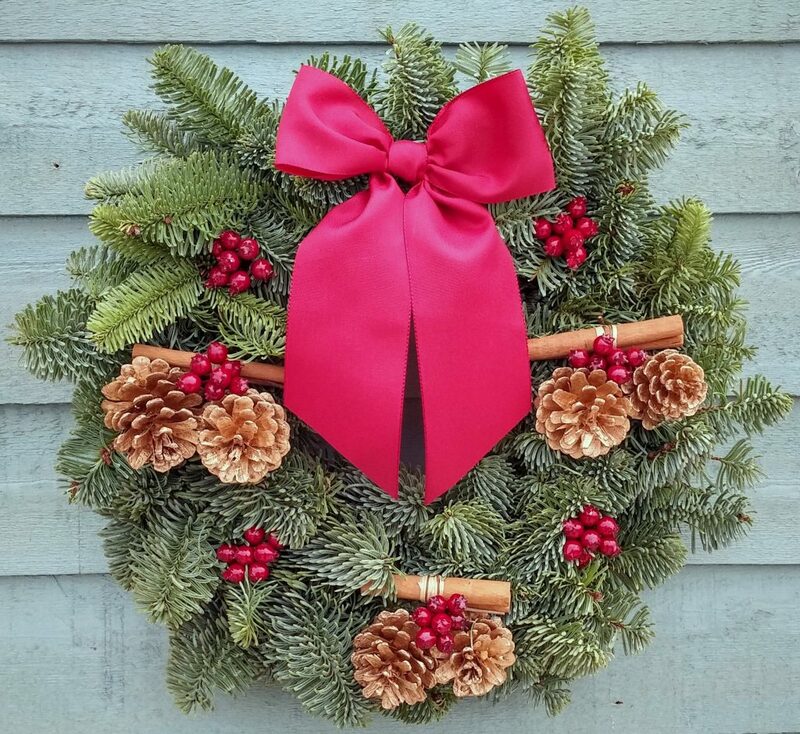 The Stylish wreath comes in a slightly larger size to make room for plenty of decorative additions. 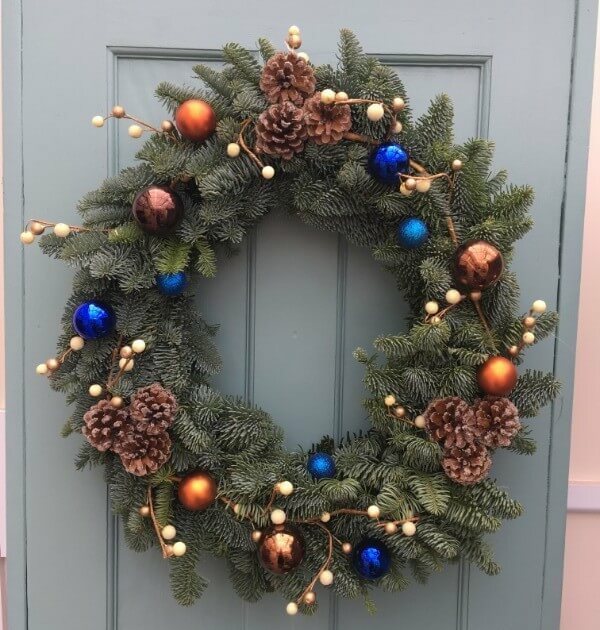 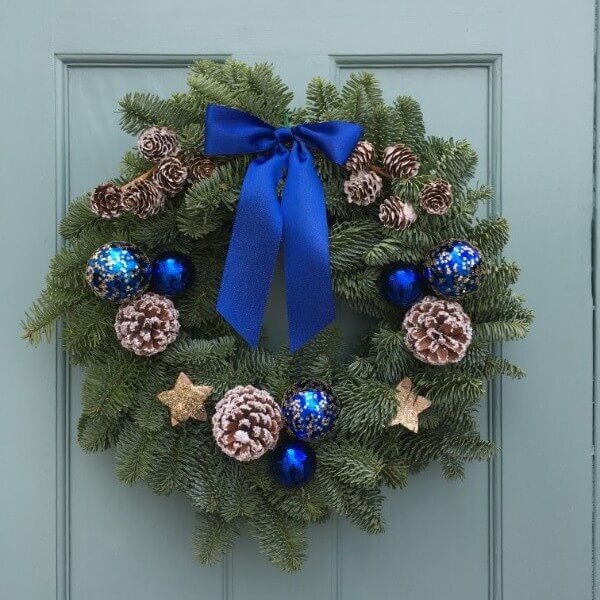 It mixes traditionally festive reds and greens with some more vibrant blue baubles to make for a very pretty wreath overall. 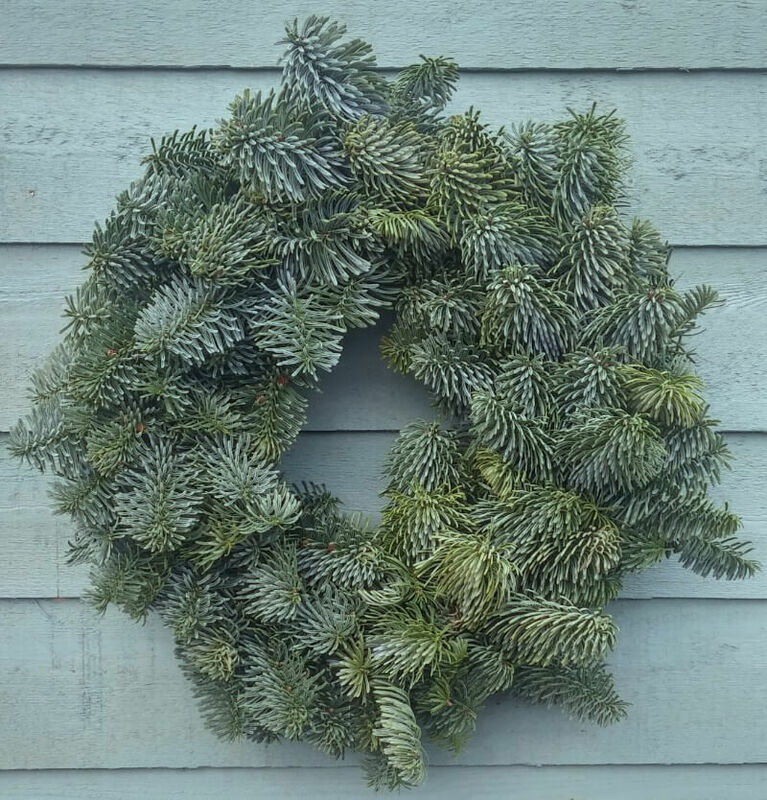 Diameter: 16 inches.